As you know, Dressel Divers is celebrating its 25th birthday this year. 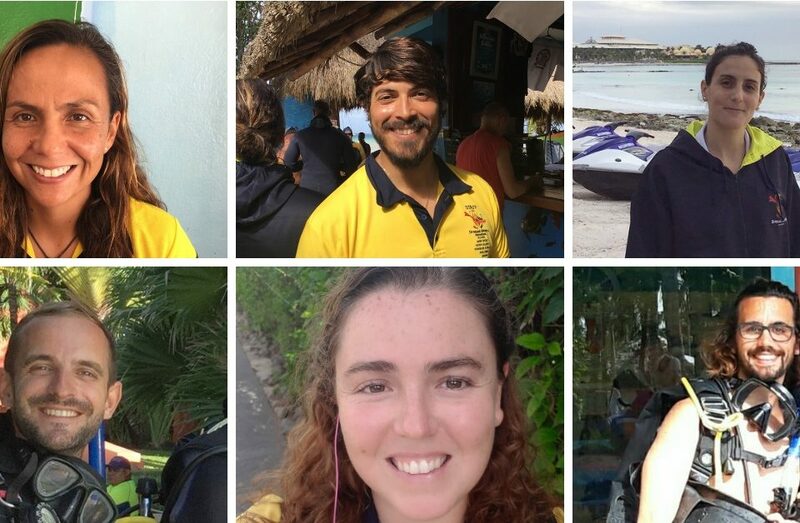 Two weeks ago we introduced you to one part of our team you don’t meet every day, but who also make you enjoy your diving vacation so much, our managers. 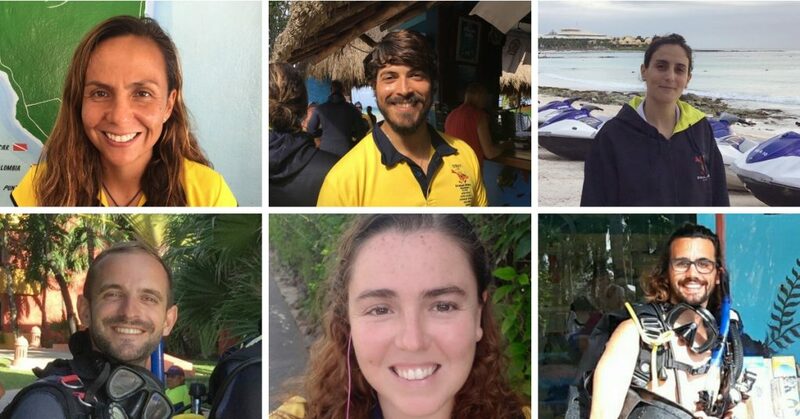 But, today is time to introduce you to another really essential part of Dressel Divers’s structure, our dear Base Leaders. 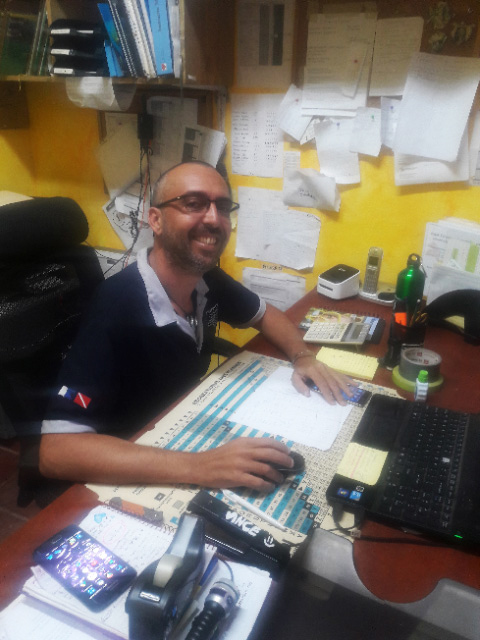 They are the persons in charge of applying our principles of safety and customer service, customer relations, staff planning and staff training. Definitely, they ensure that all our water activities reach the quality levels that our clients deserve. Of course, all of them are avid divers with thousand of dives on their dive logs. Let’s know more about them! Germany. 31 years. Since June 2014. Teacher, wine waitress, Restaurant Manager. 4. At what point did you realize you wanted to be a Dive Instructor? I always wished to be a teacher, why not being a Diving Instructor? As soon as I decided to move to Mexico and I started to work for Dressel Divers. 5. Where and with whom did you do your instructor course? 6. What was your first function in Dressel Divers and how did you progress from there? Public Relations at Barceló. 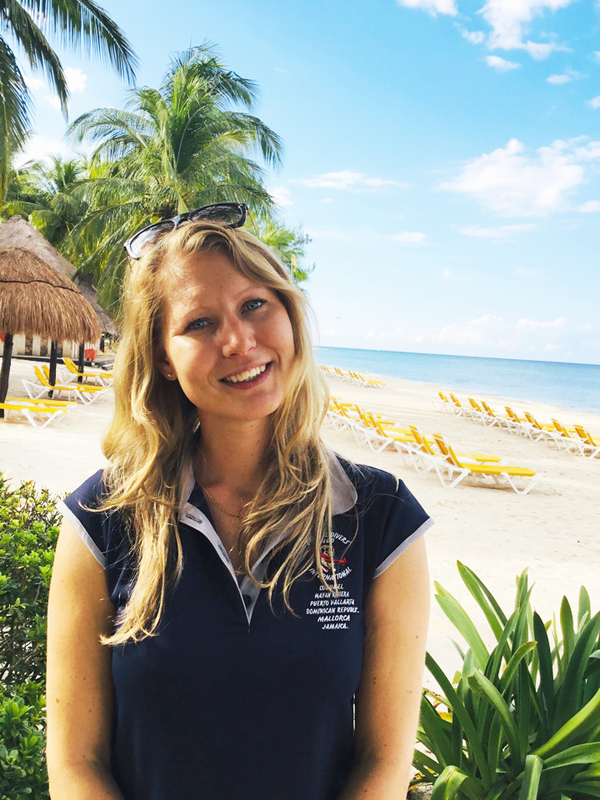 Public Relations at Hard Rock Riviera Maya. Dive Boss in Puerto Aventuras. Base Leader in Playa Del Carmen, Base Leader in Paraíso. 7. What is your diver level and how many dives do you have? IDC Staff Instructor Application for Master Instructor is on its way 😉 Uff, I would say around 500. 8. Why did you chose the PADI dive federation over others and what recommendations would you have for them? It’s the most famous one and most recognized Scuba Diving organization. 9. What is the best advice you ever gave to your students? Hard to say, but nobody is perfect! With every dive we achieve more experience and we will never be a perfect diver because with every situation we continue learning and gaining more experience. 10. What is your most memorable moment with students? Going with a Discover Scuba Diver participant on the optional Open Water Dive and seeing a bull shark in 12m/40ft. 11. How would you convince someone to go diving if you only have 1 sentence to do it? Diving is like meditation underwater, calm & relaxing while seeing the incredible life underwater of animals and coral reefs. Let’s go and try it out, you will see all this by yourself. 12. What is down there that is not up here? The marine life, the calm and piece of the ocean and especially in the Cenotes the light beams, formations and the historical background. 13. Which kind of scuba diving and what dive sites offered by Dressel Divers are your favorites? Drift diving in Barracuda & Tortuga, Day & night dives at the reefs of Cozumel. Cavern diving in the Cenotes. 14. What is the most incredible dive you ever did? A dive in Tortugas with Pepelu seeing a Hammerhead. 15. 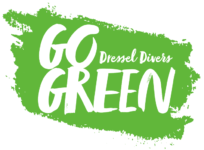 What other destinations would you like Dressel Divers to expand to next? 16. Do you have a partner? Are you married? Do you have children? Are your partner, wife or kids involved with diving? I have a boyfriend, he says leasing is cheaper than buying 😉 We have a dog and two cats, these are our kids… My boyfriend is a full cave instructor that’s why our destination is Playa Del Carmen cause his working place is the Cenotes. 17. What other sports do you practice? What other passions and hobbies do you have. Being a workaholic doesn’t give space for a lot of other things 😀 Cooking is one thing I really like, especially German dishes to introduce them to friends. I’m from Italy, I joined Dressel Divers in 2012, when I was 27 years old. When I was a kid I dreamed of working in a natural park as Ranger. Before joining Dressel Divers, I actually had the chance to work in two different parks among other small jobs. I realized I wanna be a Dive instructor after not diving for a full year. I missed it a lot and I decided I wanna make a living out of it. 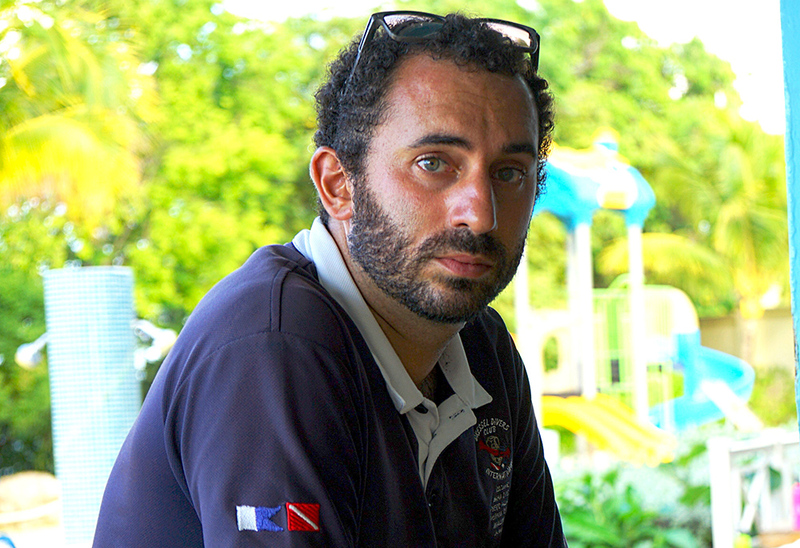 Dominican Republic, with the Course Director Cristian Maffione. I started from the very bottom, as an intern. 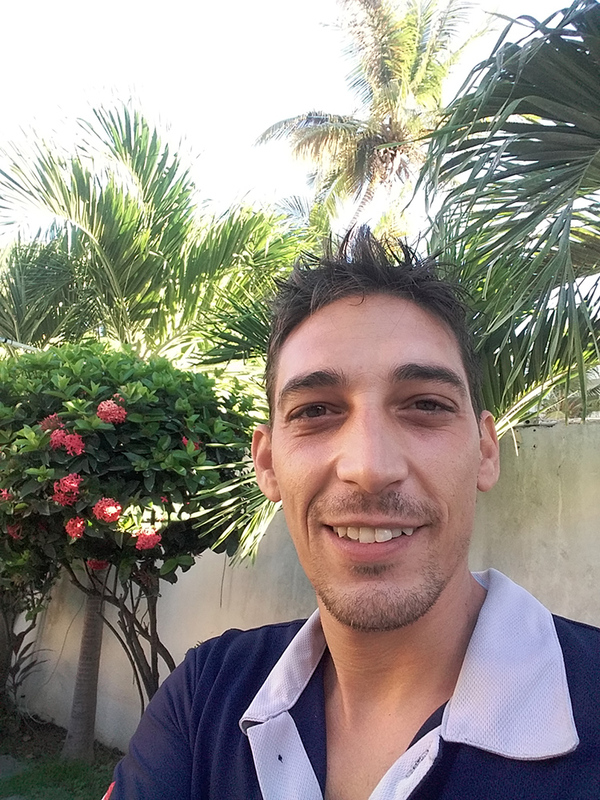 Then after I finished my Internship, they offered me the Dive Boss position at the Dressel Divers Bávaro base. The following year I was the Base Leader. After 3 years they offered me to come to Mexico, where I worked as Dive Boss at Dressel Divers Barcelo and Dressel Divers Paraíso. 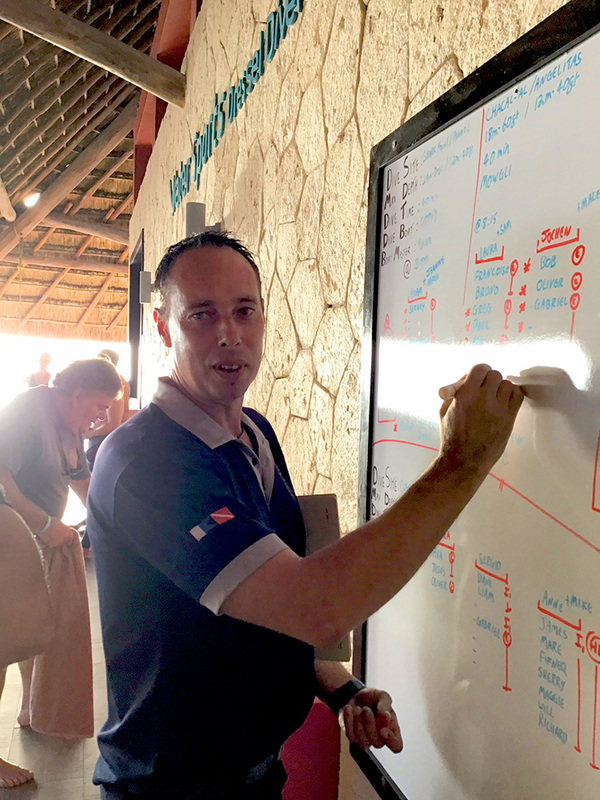 Since this January I’m the Base Leader at Dressel Divers Playa Del Carmen. At this moment I’m PADI IDC Staff and Full Cave Diver. I would say around 1000 dives. PADI is the most famous and important diving federation. So thanks to the brand recognition and the support that they offer, it is obviously the best choice. Keep diving, and keep learning. The most memorable moment with students is every time we start the dive and we reach the bottom of the sea and I can see the fear and worries changing to happiness and wonder. It is the most life changing experience you can ever do. Once you deflate your bcd all the problems stay at the surface. In Socorro Island with mantas, dolphins and whale sharks. Our business has the luck to always be in beautiful places, so, any place is good. Girlfriend and, yes, she is also a diver. Sweden. 29 years old. About 3 years. Horse trainer. I worked as a Divemaster. Playa del Carmen, Dressel Divers. From Public Relations to Base Leader. Dressel Divers works with PADI. Humm if you are nervous. Students first time seeing a turtle. Cabo San Lucas Lands End Diving with Humpackwhale mother and a calf. Yes. No. No does my dog count? Yes. Italy. The first time I was 24. The second time, 34. Dentist. Before Dressel Divers I also was a Diving Instructor. First Dive Instructor, then Dive Boss, then Base Leader. Never stop learning and get used to know your Dive instructor manual. It is better than anything else, and nobody speaks underwater!!! St George, and cavern dive. I’m from Portugal. I joined Dressel Divers at 27, about 4 years ago. Growing up, I always wanted to do something related to the sea, but even though I kept diving as a hobby, when it came the time to choose, I ended up studying something completely different, so, I actually came from an engineering background. A couple months into my Internship, it started to become a more and more enticing opportunity so, I took it. I did my IDC with our own Cristian Maffione, in the Dominican Republic. Well, I started as an intern, and from day one I just felt right like I belonged, so it’s been great having my hard work recognized, specially when I was offered the Diveboss (and afterwards the Base Leader) position in Jamaica. I’m currently a MSDT, and I’m not sure about the amount of dives, but in the 2000 something region, I suppose. PADI is the most popular and recognizable diving agency in the world, the quality of their materials and their reach/support make it a very easy choice. Dive more! There’s no special trick, just dive as much as you can, and the rest will come. I once taught an AOWD course to a student who was in a wheelchair, with very reduced mobility, and it was one of the most rewarding experiences I’ve had, seeing someone overcoming a situation like this is incredible. Water makes up for 71% of our planet, why miss out instead of enjoying it all? I’m a particular fan of caverns and caves, and the Yucatan peninsula in Mexico is the absolute best place in world to see these wonders, so, that’d be my suggestion. If you happen to not like closed spaces, then cozumel, that has some of the best diving in the world. There’s a lot, but if I could choose only one, it’d be the Thistlegorm wreck, in Egypt. Maybe Belize, it’s still in the same relative area as the other main Dressel Divers bases, and with amazing diving, with lots of untapped potential. Yes, I am married, we both dive as much as we can, and funnily enough, me and my wife met while we were doing our Dressel Internship! I practiced sport climbing for quite a while, but here there’s nowhere to climb, so running is pretty much all I do. Hobby wise, it’s mostly traveling and eating nice food! Italy, 28, 3 years in the company. I wanted to become a Dive Instructor or Superman. Before I joined Dressel Divers I did all kind of jobs in the dive industry. I did my Dive Instructor course in Sharm El Sheikh, with the course Director Massimo Casabianca. My first function in Dressel Divers was Dive Instructor. I was always working hard to arrive to my current position. I had a goal and I achieved it. My current diver level is IDC staff with over 11.000 dives. Worldwide recognized. High safety standards. A Junior Open Water who was very smart and now she has become a Dive Instructor. You will discover another dimension. Wreck diving and the St. George in Bayahibe. Yes I am married, and my wife is a diver, but lately she does not dive too much. I started with Dressel Divers as a Dive Instructor in Puerto Aventuras. Soon after I moved as a Base Leader in Playa and after two years I returned to Puerto Aventuras. I have always thought that the quality of an instructor make the difference, no matter which diving organization. 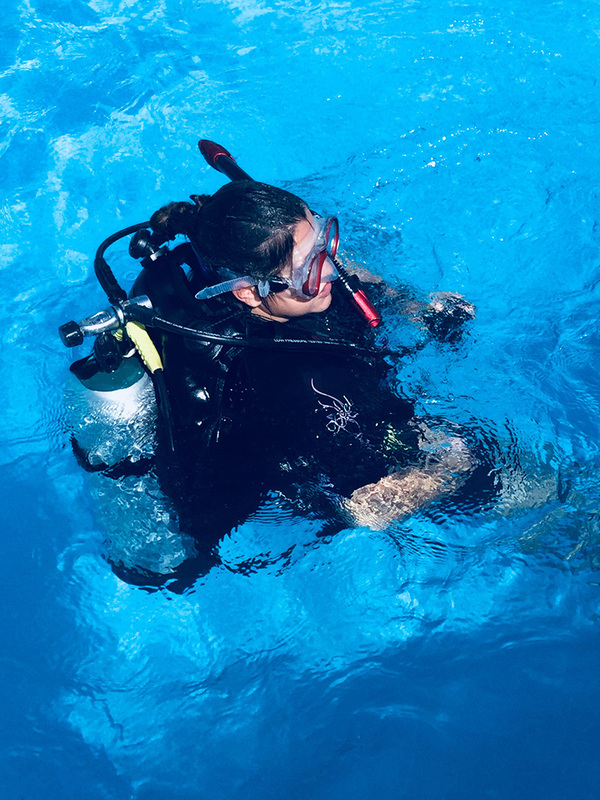 PADI is for me the best option as it is the organization more present worldwide and dedicates a lot of effort in keeping the training standards updated with the most innovative training tools. My best advise is in the Open Water Manual: Stop, Breathe, Think and then Act. 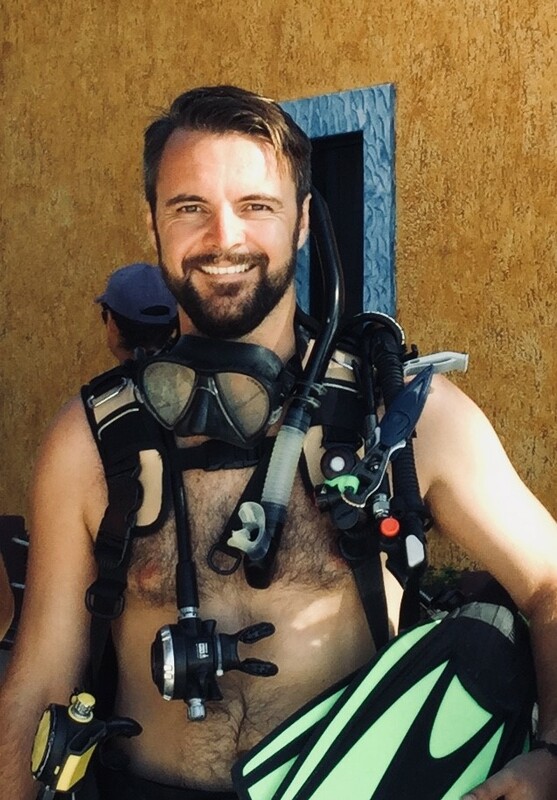 It’s memorable to me the smile and the look of awe of every diver after their first dive, on the surface while waiting for the boat to pick us up. In our existence there are things that make us experience the beauty and the mistery of living on our Earth and diving is certainly one of these. What are you waiting for? I can tell you what is not there that is up here: all the little thoughts that distract you from finding your real self. Chacal Al Deep at 27 m (90 feet) on Nitrox. It will really show you how pristine and huge is our Coral Reef. An unexpected one as often in scuba diving. One dive in Pedregal when we found our self in the middle of a kilometer long fish ball with lot of bull sharks hunting on them. Red Sea, perfect for all our European divers. I love mountains and all the related activities.